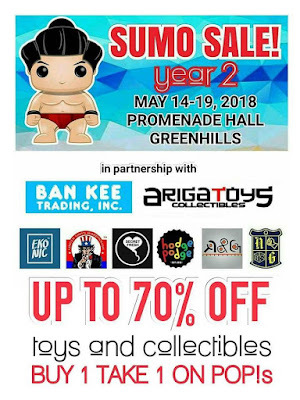 The Big Toys Sumo SALE is back! 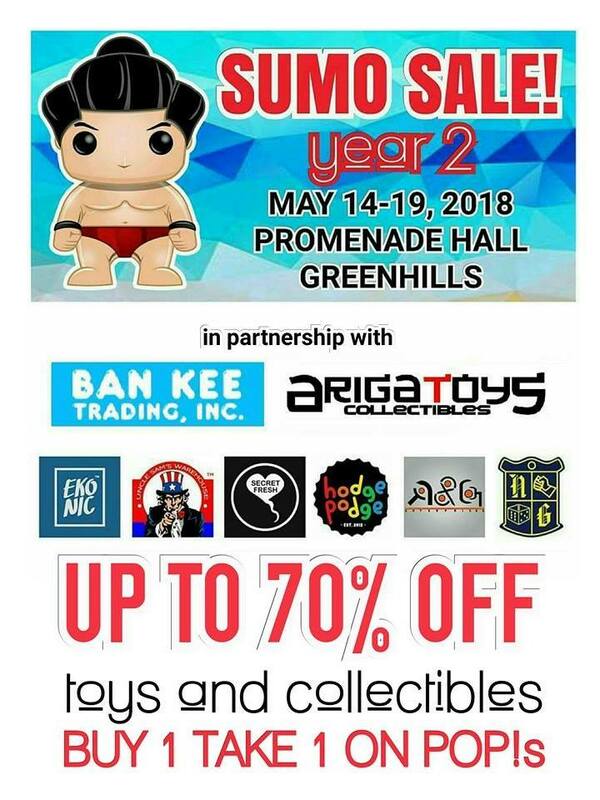 Check it out on May 14-19, 2018 at Promenade Hall, Greenhills Shopping Center. Get up to 70% on Toys and Collectibles, plus...BUY 1 TAKE 1 on POP!s, and more!